Equatorial Commercial Bank(ECB) will now trade as Spire Bank,a move triggered by its intentions to take good care of its rapidly increasing customer base. When Mwalimu National Sacco acquired 75 percent stake in ECB in 2015,the two lenders automatically saw a rise in customer base from this merger.In order to work under one business name,Spire bank was born. 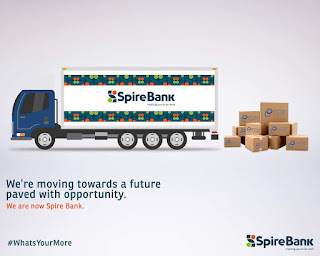 Spire Bank with the tagline 'Inspiring you to do more' will be providing both banking and insurance services to both individuals and business corporates. Spire Bank is the new Equatorial Commercial Bank (ECB).